In 1939 I was 8 years old, the Mickey Mouse comic paper was offering one of these camera's for six coupons cut from 6 weeks of the comic, plus sixpence. I recieved it just before our summer holiday, we went to the Isle of Wight, a big adventure, travelling over on a paddle steamer, it was August and just a few weeks later World war two broke out. 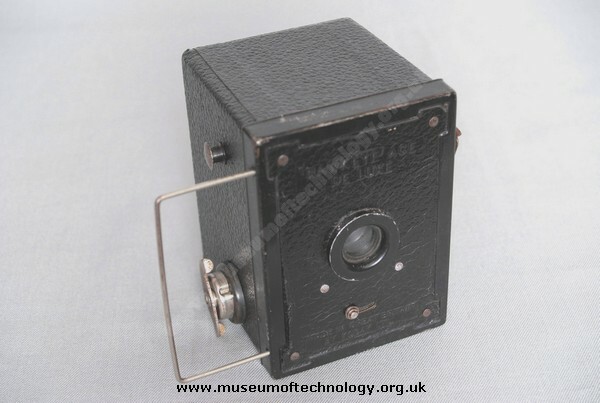 I still have the camera, we used it for years, but I cannot get the films now, I also have some pictures we took with it, but film was really scarce during the war so not a lot of photos from that time.